Microsoft Edge is the web browser you get available from the taskbar in Windows 10. It is Microsoft’s own web browser that they own, having taken over from where Internet Explorer left off. You can still use Internet Explorer in Windows 10 because Microsoft has made it available, but you should be thinking about making a move to another web browser because Internet Explorer is going to become a security threat soon as Microsoft is no longer developing it. The Microsoft Edge web browser is a pretty good browser to use. There are several advantages to Edge when you use it with Windows 10. It’s the fastest browser to surf the internet with when used with Windows 10, and it offers the best battery life as well for everyone who works with Windows 10 on a laptop or tablet. Edge comes with all the features you could ask for from a browser, the secret is just finding the time to learn where they are and how to use them. One of the tricks up Edge’s sleeve is the Favorites bar—a toolbar for you to add your favorite websites. 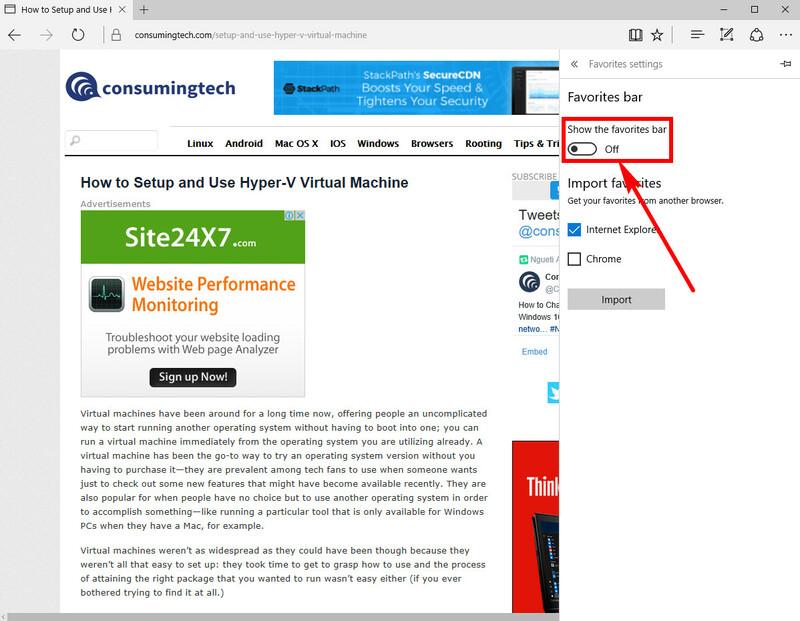 Once the Favorites bar is showing as a toolbar, you can then learn what it takes to add and remove favorites in the Microsoft Edge web browser in Windows 10. 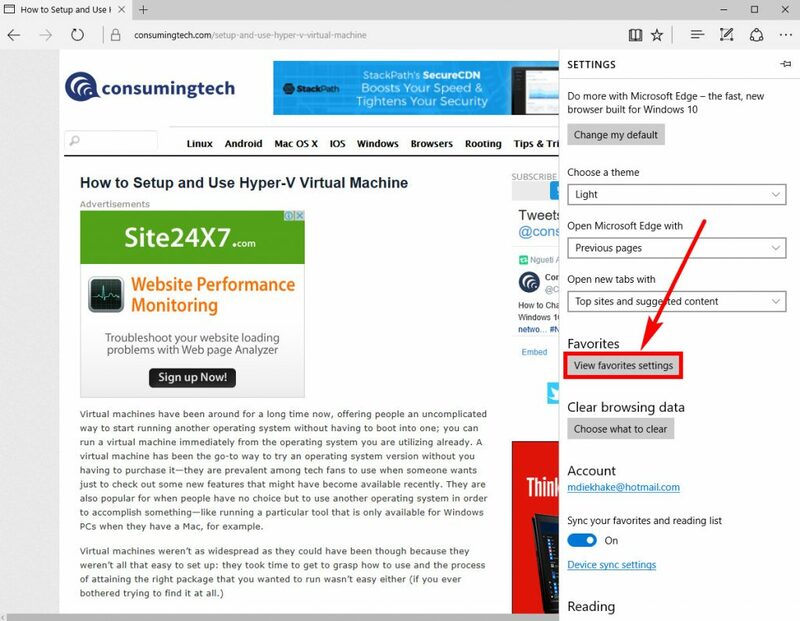 You can turn the favorites bar on or off from inside the Microsoft Edge web browser’s settings. To get started, open Edge by clicking on the “e” found in the taskbar at the bottom of your computer’s display and then click on the three dots in the top right corner, followed by the “Settings” link found on the menu. Just under the Favorites bar heading is a toggle for it that you can use to turn the Favorites bar on or off. 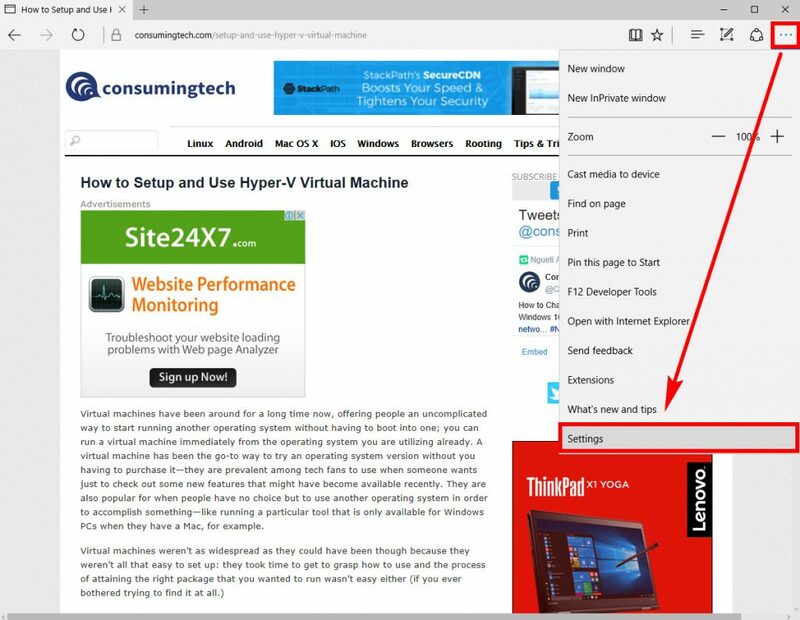 Getting to know some tips and tweaks for your Microsoft Edge web browser is the best way to understand how to works so you can start getting used to it. Familiarity is the key when being happy with a web browser. There’s no use having a fantastic web browser that offers the best speed out of all of them if you don’t know how to use it. Edge is that web browser that provides the most speed for those using Windows 10, and learning how to use the Favorites bar is one of the tweaks that is going to help you enjoy it.